If you visit a lot of home energy efficiency related websites, as I do, and look around at the ads on those pages, you may notice quite a few that are selling various home energy auditor certifications. Unless they're offering training that leads to RESNET (Residential Energy Services Network) or BPI (Building Performance Institute) certification, however, you'd probably be throwing your money away if you bought their program. They often have training courses that you complete on your own, either at home or online, and cost from $99 to $599. They have nice photos of their materials, which usually include 5 to 10 booklets (fanned out for effect), a CD-ROM, and the all important certificate. They might also show some images from their software or training webpages. Now, back to that certificate. Getting certified means something only when the certificate comes from a credible organization, involves real accomplishment, and leads to new opportunities. I'll wager that most of those online home energy auditor certification courses are nothing more than scams, created to enrich their originators. For example, one of them I saw a while back was developed by a lawyer who admitted he had no background in energy auditing. Another one promises that you'll be a certified, knowledgeable home energy auditor in a week, on your way to financial independence. None of these that I'm referring to says anything about diagnostic testing, which is hugely important when you're doing a home energy audit. 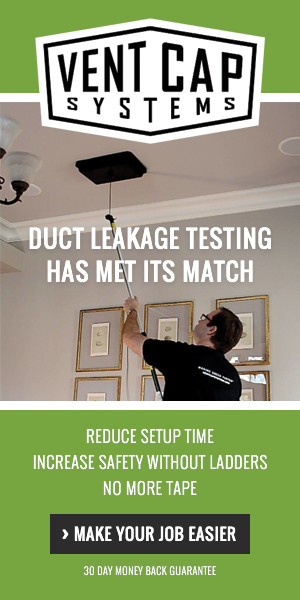 Yes, you can learn a lot about a house with a visual inspection and homeowner interview, but testing for infiltration and duct leakage is essential for a complete, accurate home energy audit. If you're looking for training as a home energy auditor, make sure you get certified as either a RESNET Home Energy Rater or a BPI Building Analyst. Want proof that those are the only certifications that really count? Look no further than the Home Star rebate program going through Congress. They're the only two that are mentioned specifically in the legislation. Energy Vanguard is an accredited HERS Rater Training Provider. To get more info about our classes and to sign up, go to our HERS Rater Training page.